Need a way to effectively manage who comes in and out of your premises? In many industries it is vital to ensure only authorised people are permitted entry to a whole host of different restricted areas. Southern Cross Protection can deploy a variety of integrated access control systems that can be used for your security requirements. Do you need a security system that does more than simply sound an alarm? 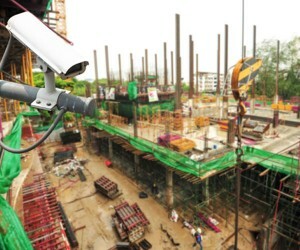 A CCTV solution can record and store video of any suspicious activity that occurs on or in your property. This gives you a method of keeping a high definition eye on your premises at all times, both as a deterrent and as a way of capturing any criminal or malicious activity that may be perpetrated against you. 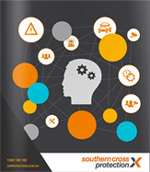 Southern Cross Protection can provide a solution suitable to your budget and industry, from high definition CCTV, to advanced features like video verification and integrated services such as alarm monitoring and response. Our access control, CCTV and other security elements are fully adaptable to your specific risk profile and security requirements. Effective access control is about giving you ownership and accountability over who enters or accesses various parts of your premises. Whether it be employees entering an office building after-hours or a pharmacist needing to control who enters restricted stock rooms. The application of these systems are numerous, and we will discuss exactly how to best implement them for your business or organisation. Solutions are scalable and flexible, allowing you to integrate supporting security functionality such as CCTV, alarm monitoring and call out services. Monitoring your property with either covert or exposed CCTV systems is a way to add a powerful deterrent and precision identification method to your security system. CCTV systems are able to do this by being effectively placed in critical areas of the interior and/or exterior of your property. These capture day-to-day activity, and send and archive it on a hard-drive. This stream of footage can be viewed retrospectively or in real-time, depending on your needs. For your property we will discuss the level of security you need, the risks you face, the layout and vulnerabilities of your site and the limits of your budget to get an optimal solution. We can also add video verification functionality to your CCTV alarm system. This is a breakthrough way of identifying whether a triggered alarm is false, or actually represents a crime in progress. It works by providing instant visual evidence to support the appropriate response action when your alarm sounds. 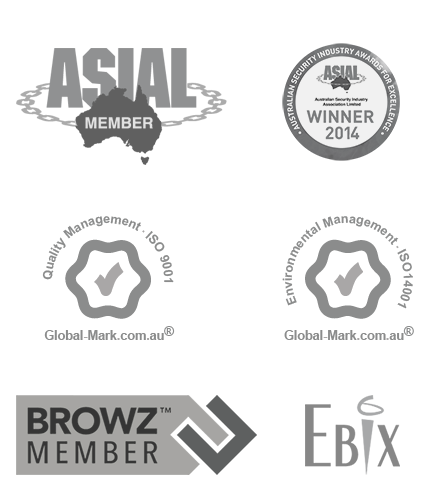 Looking for precision access control or CCTV system provided by an acclaimed Australian security company? Call us today on 1300 136 102 or enquire online to discuss a solution suitable to you.